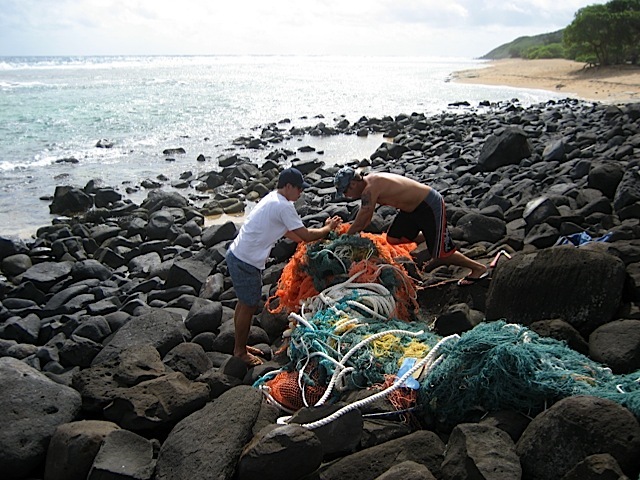 As well as frequent beach cleanups, Surfrider Foundation on Kauaʻi runs a dedicated Net Patrol project, led by Barbara Wiedner. 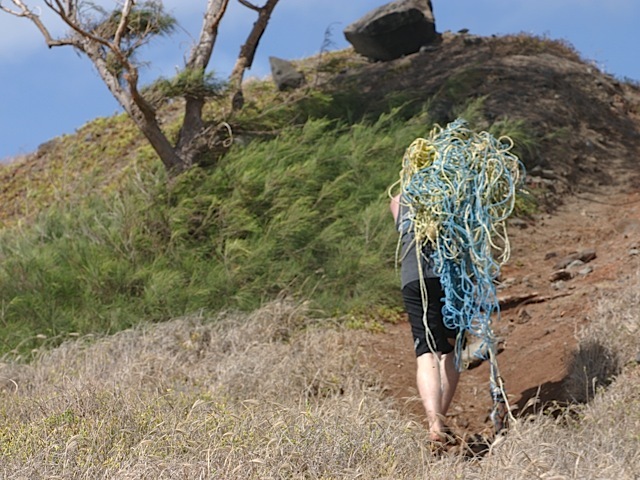 Her team of volunteers remove the massive entanglements that often wash up on shore—nets can break off coral or block sunlight to the underwater ecosystem; sometimes they wrap around sea turtles or monk seals, even whales. To join the Net Patrol effort, contact Barbara at Bwiednerrealtor@aol.com.